The annual awards, held on August 2, 2014 in Athens, Greece, recognize travel companies for delivering an outstanding customer experience and are voted by travel agents and consumers worldwide. Norwegian, which has been honoured with the accolade since 2008, has for the third consecutive year deployed four Freestyle Cruising vessels in Europe in summer, offering an array of sailings ranging from four to fourteen nights. The company will deploy its largest ship, Norwegian Epic, year-round in Europe beginning next summer. Receiving this award for an unprecedented seventh year in a row is a testament to Norwegians unique cruise experience, and our wide variety of exciting itinerary options, said Kevin Sheehan, President and CEO of Norwegian Cruise Line. This award shows that both industry professionals and guests appreciate our world-class cruise vacation and were so proud to be named Europes Leading Cruise Line once again. Norwegians European sailings provide guests with the opportunity to visit the most beautiful places in Europe with the convenience of only unpacking once. Currently Norwegian Jade sails 7-night Greek Isles and 7-night Adriatic, Greece and Turkey cruises from Venice. In the upcoming winter season 2014/15, the ship will sail a 10-night Eastern Mediterranean and an 11-night Western Mediterranean itinerary from Civitavecchia (Rome). Norwegian Spirit currently offers 12-night Grand Mediterranean voyages between Barcelona and Venice and in the winter season will sail a 10-night Canary Islands and Morocco itinerary from Barcelona. 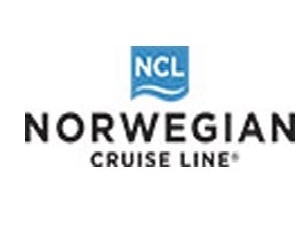 On September 22, 2014, Norwegian Star will embark on the popular, 14-night Norway, Iceland and Faroe Islands itinerary from Copenhagen visiting Bergen and Ålesund, Norway; Lerwick, Shetland Islands; Tórshavn, Faroe Islands; Reykjavik, Iceland; Greenock (Glasgow), Scotland; and Dublin, Ireland. Currently Norwegian Star visits the Baltic Capitals on 9-night cruises from Copenhagen. Norwegian Epic, currently sailing the Western Mediterranean through October 19, will return to the Mediterranean year-round next spring, offering 7-night Western Mediterranean cruises from Barcelona and from Rome (Civitavecchia) beginning May 3, 2015. The itinerary features five exciting ports of call in three different countries: Italy, Spain and France and includes a stop in the very chic port of Cannes.